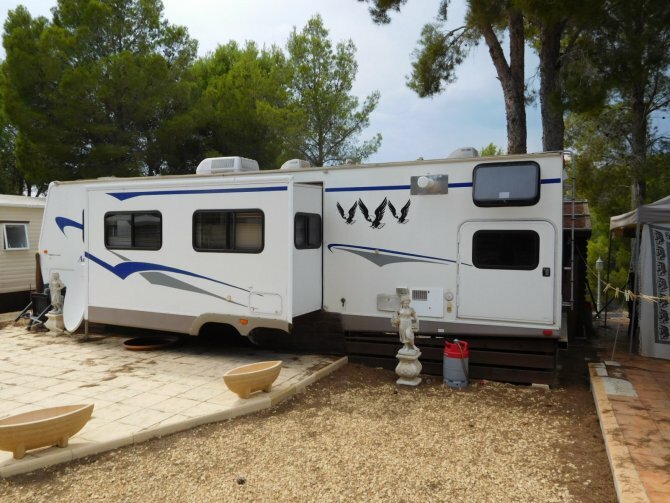 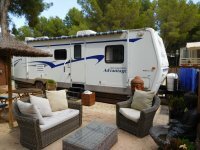 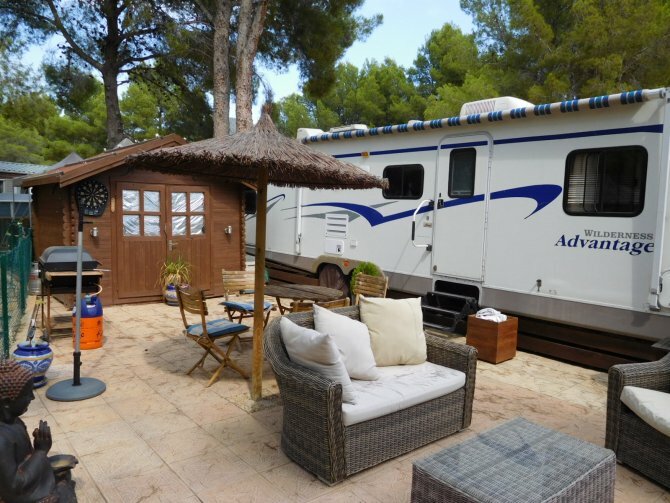 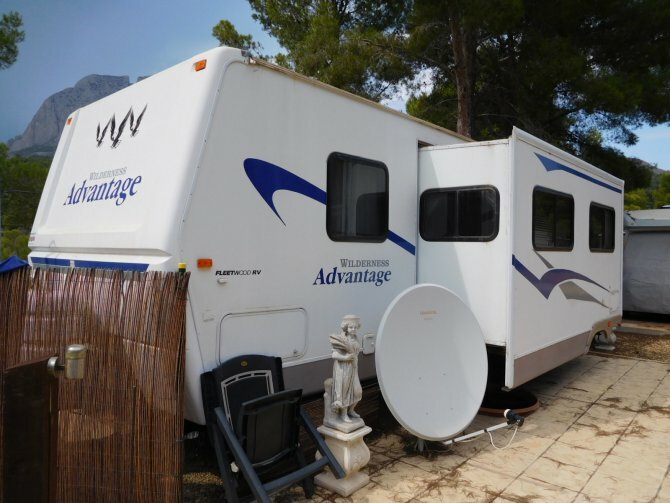 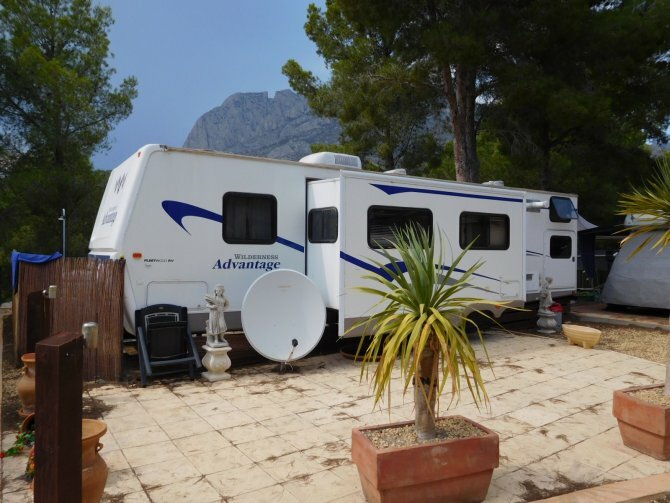 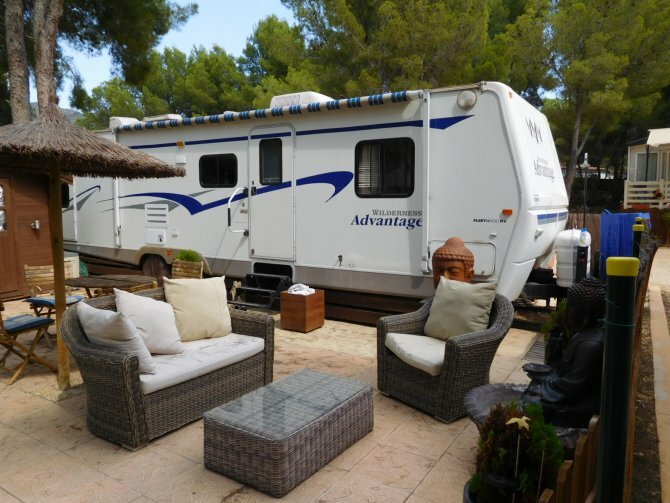 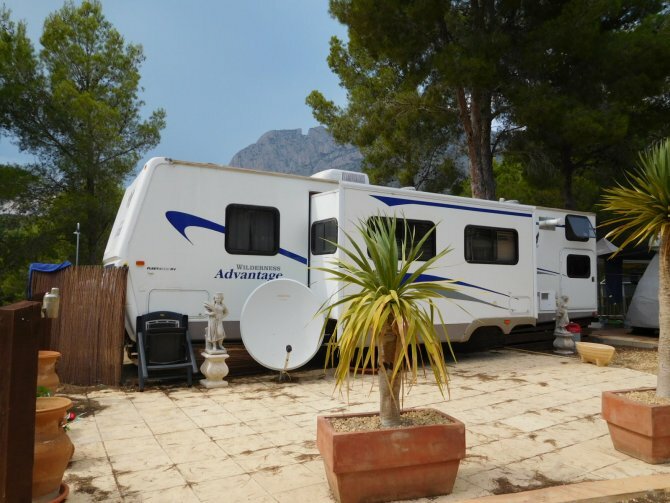 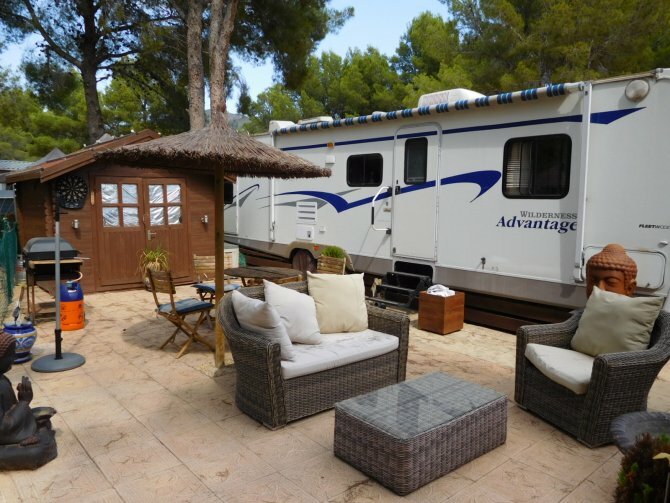 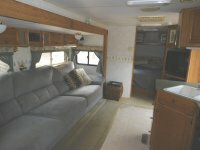 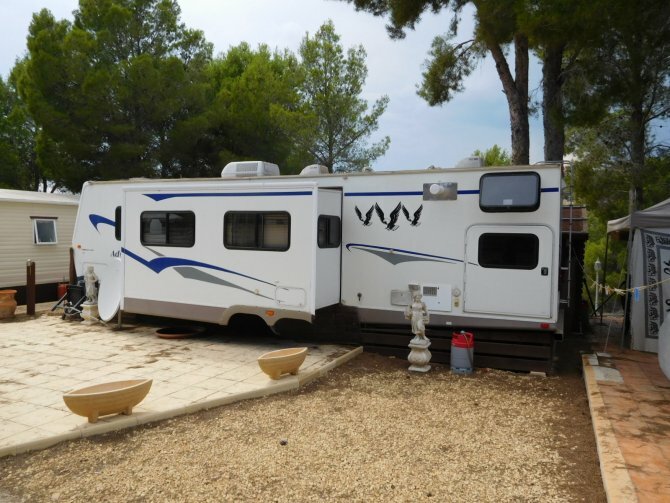 This Fantastic Fleetwood wilderness Advantage, is available with a 6,995€ deposit, and 400€ per month for 25 months. 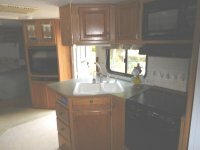 This is an interest free purchase plan available for a short time only. 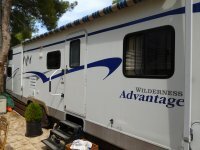 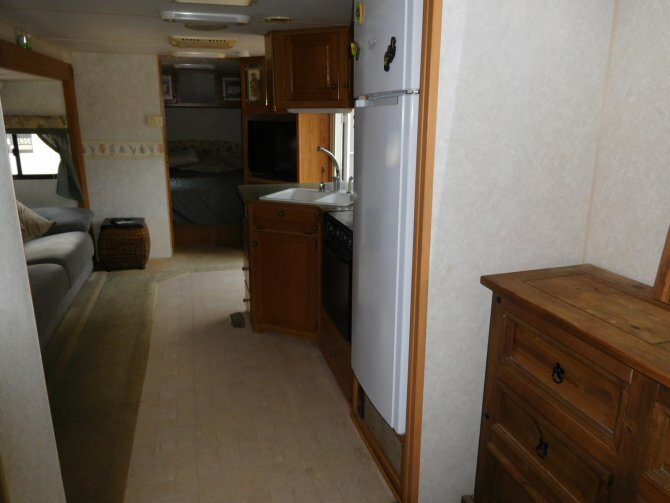 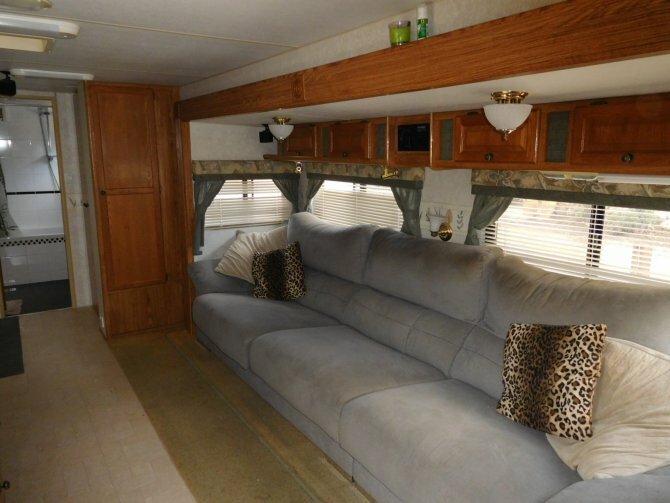 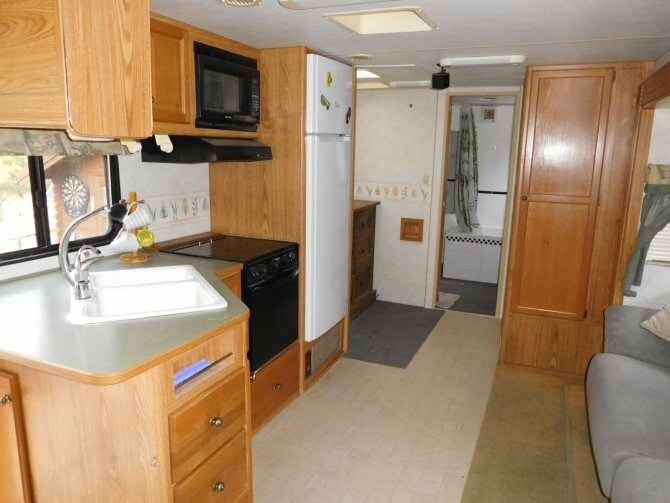 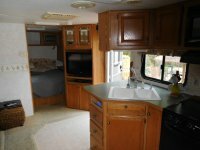 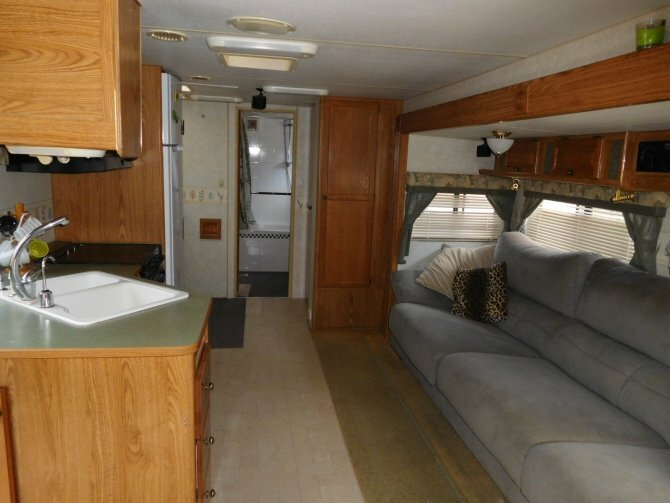 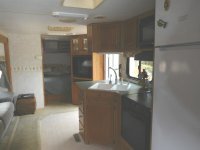 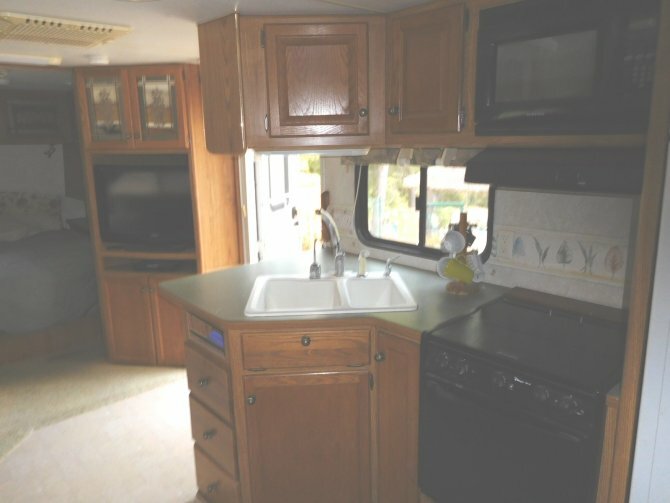 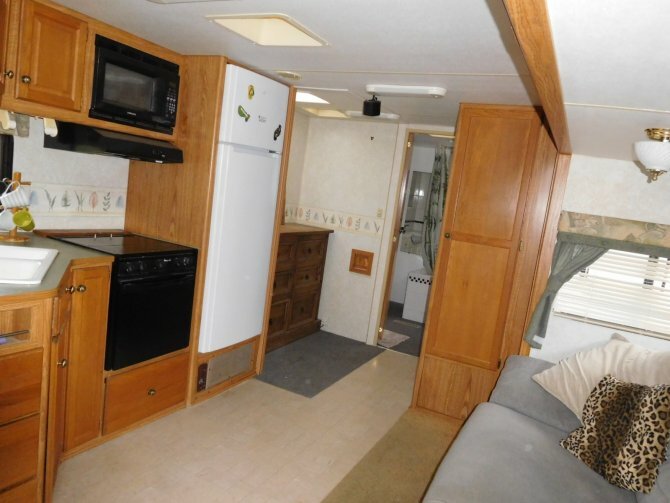 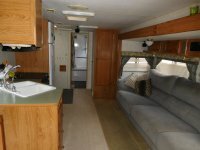 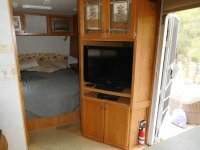 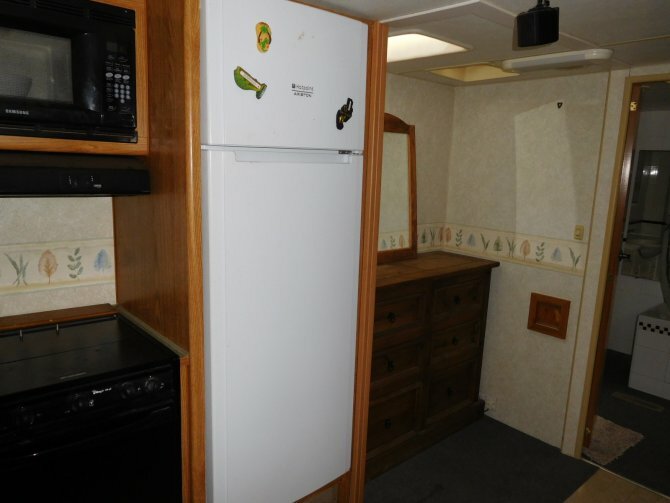 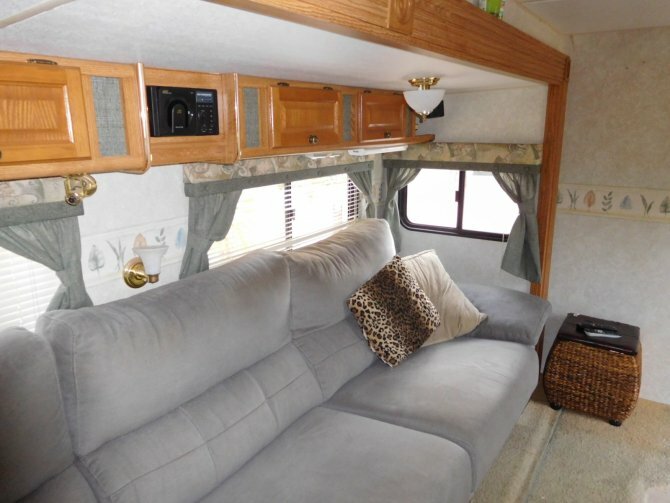 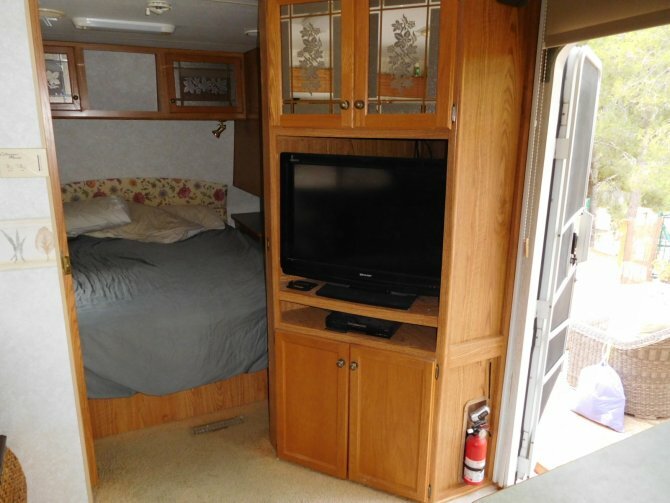 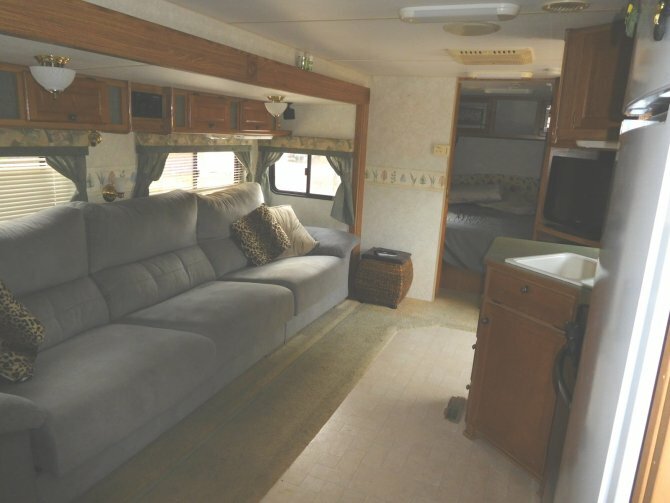 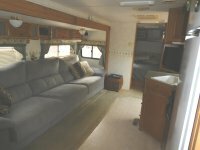 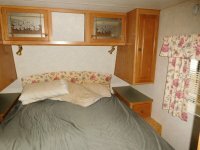 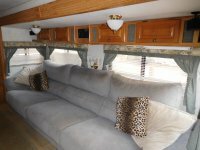 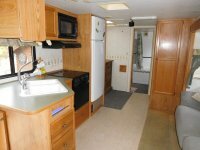 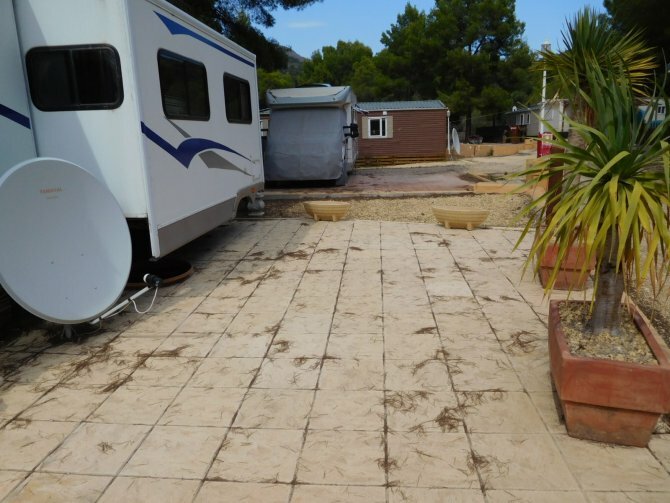 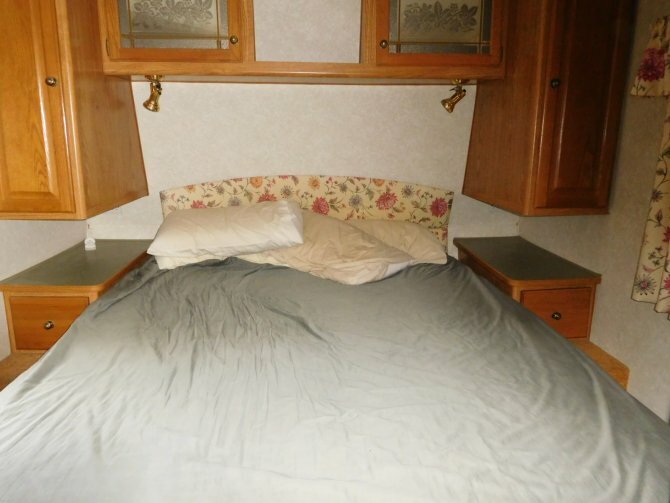 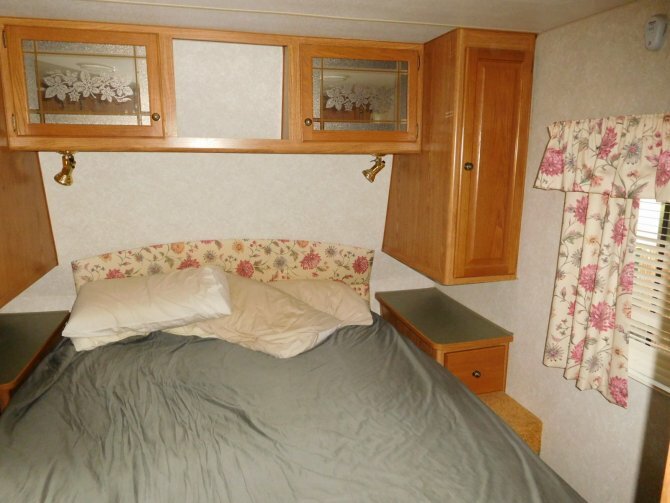 This fantastic Fleetwood Wilderness, Advantage 5th wheel, mobile home is available. 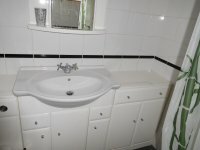 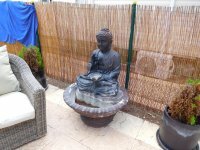 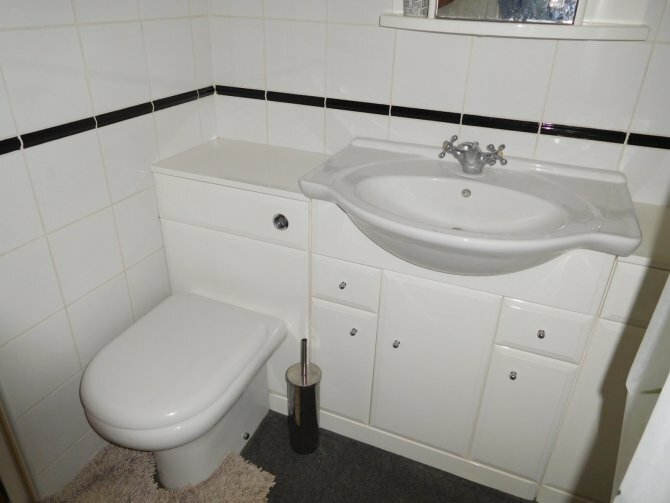 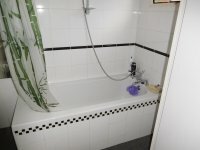 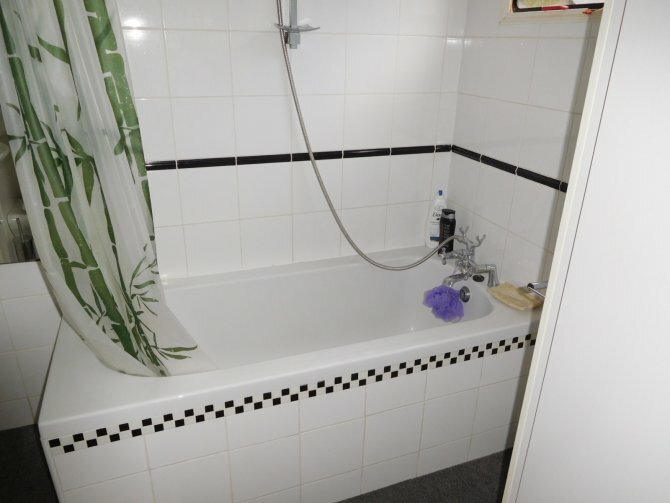 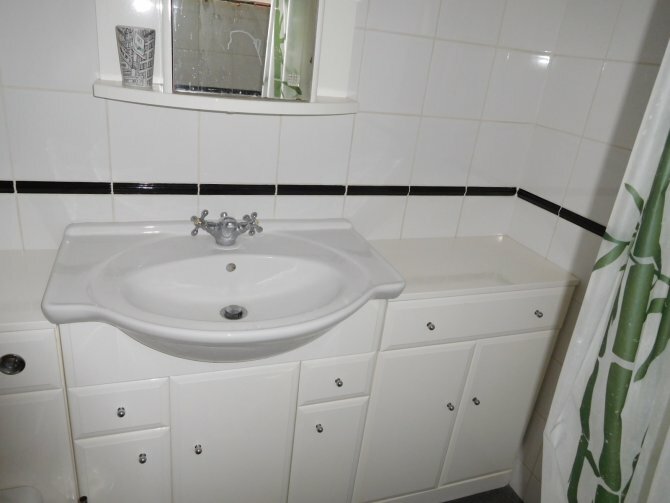 It is a very luxurious 1 bedroom home and has a full size bath in its spacious bathroom. The pop out side, gives lots of room in the open plan lounge, and has a perfect double bedroom to finish it off. 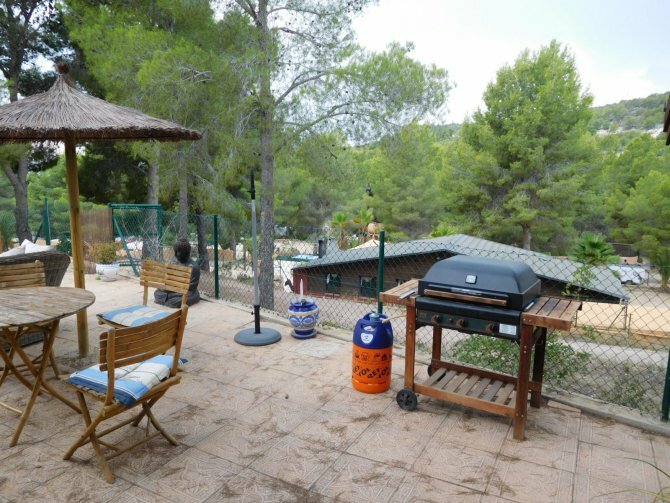 This is a top end property, and is an absolute bargain at only 16,995€. 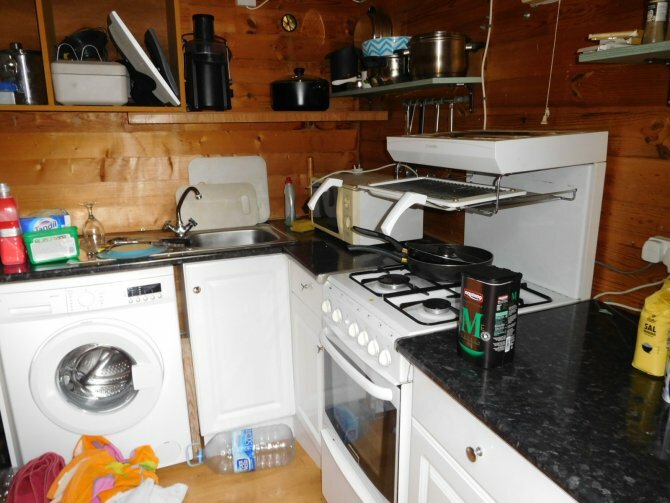 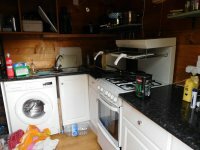 The sale includes all of the furniture, inside and out, plus all the white goods, and the wooden storage shed. 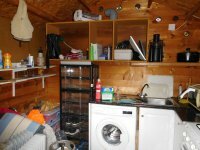 It is ready to move into straight away, or use as a holiday home. 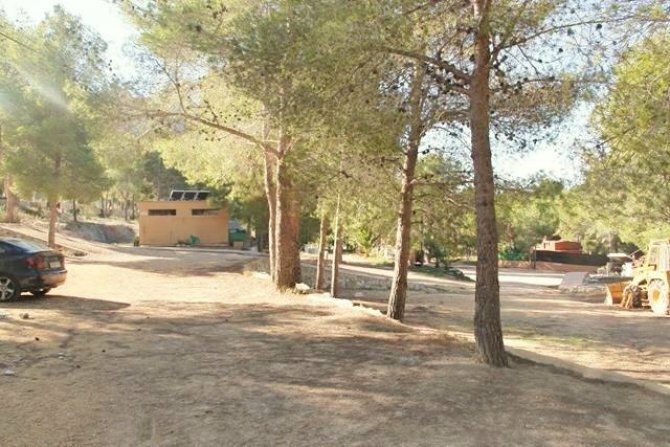 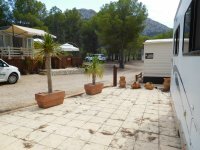 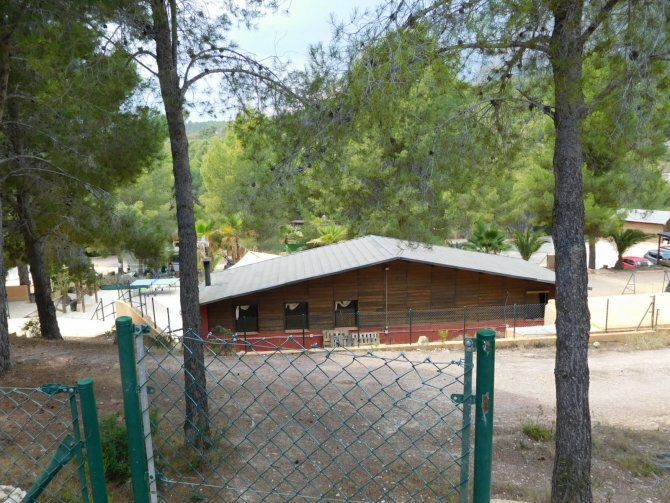 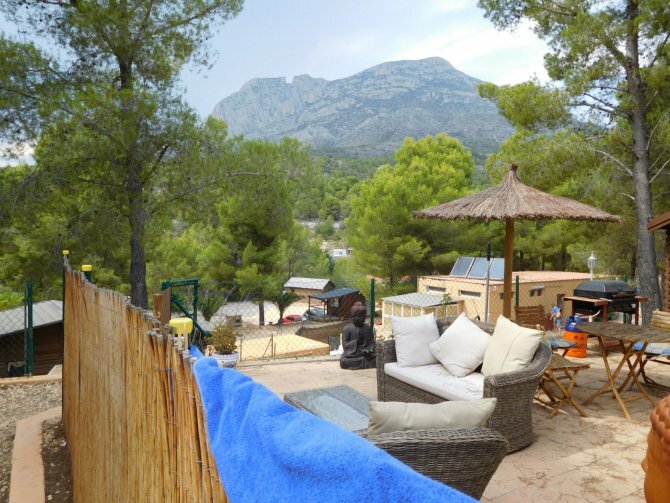 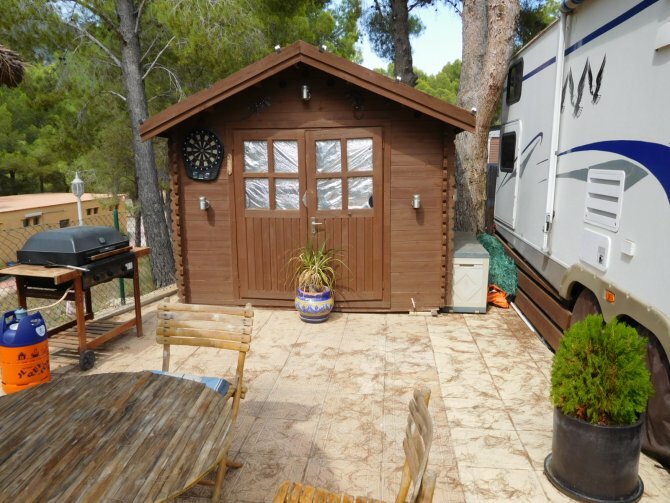 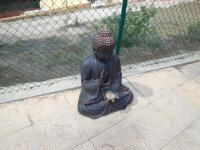 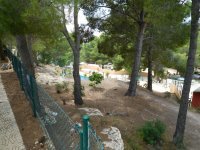 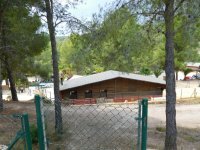 It is on Camping Puig Campana, in Finestrat. 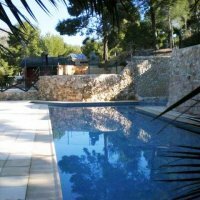 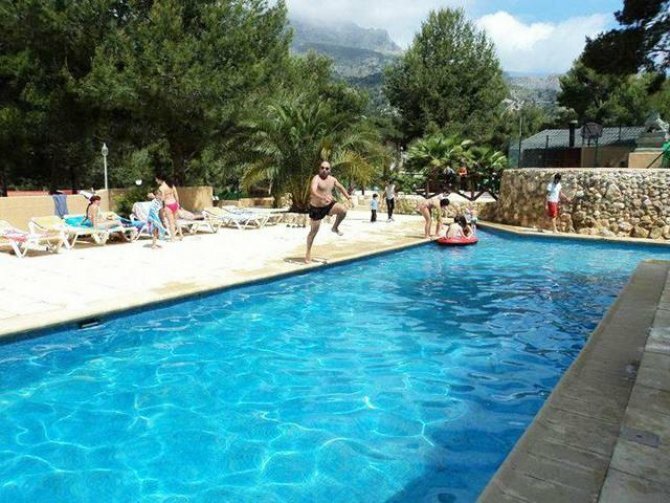 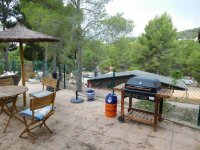 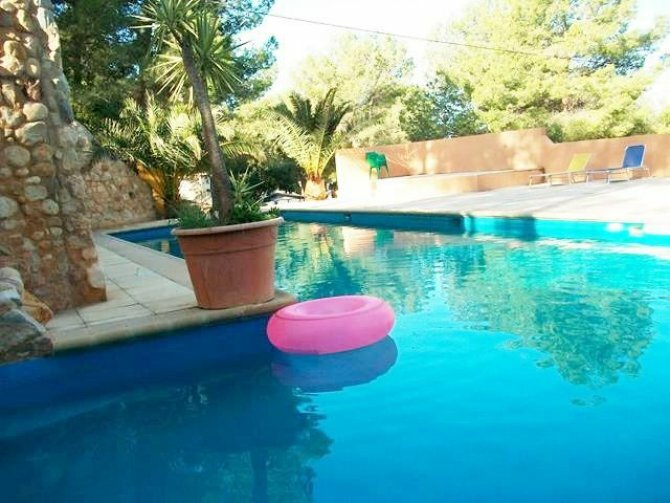 The site has a bar, swimming pool, sun terrace, children´s play area and is pet friendly. 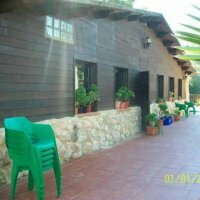 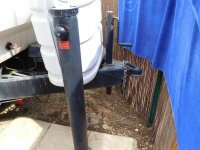 The ground rent is only 400€ per month. You can also pay 11 months for only 4,000€. 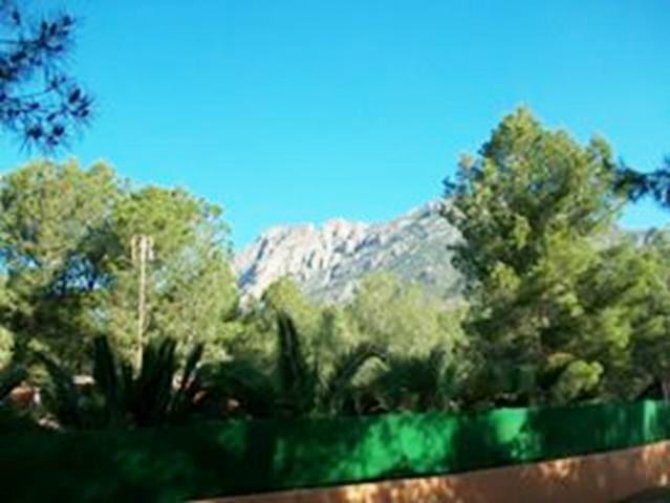 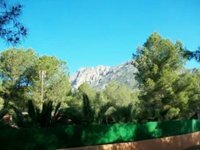 It is only 10 minutes from Benidorm, and 15 minutes to several sandy beaches. 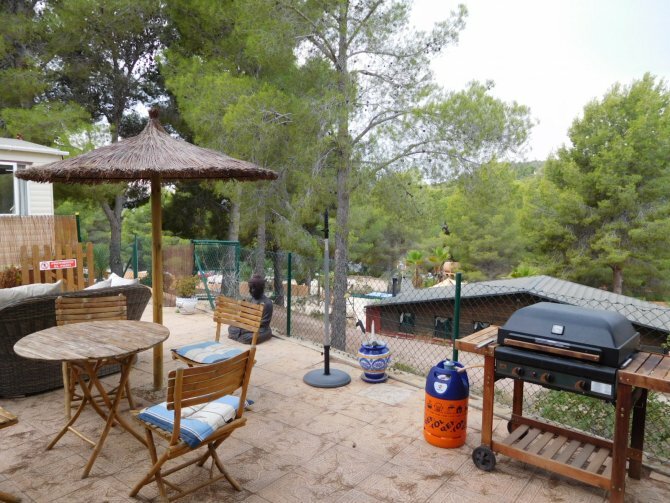 The site is only 3 or 4 minutes drive from the stunning town of Finestrat, were there are lots of supermarkets, shops, bars and restaurants. 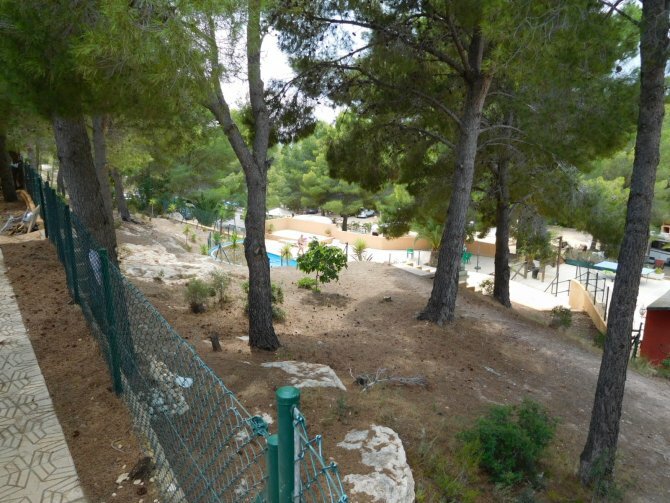 The large shopping centre La Marina is also only 10 minutes from the site. This is a must see property, and is extremely cheap.